Contemporary and chic, the Long Beach has been built around the concept of “Italian life”. The lively central Square has an air of the Dolce Vita, the real heart of the hotel, surrounded by restaurants, bars and boutiques. 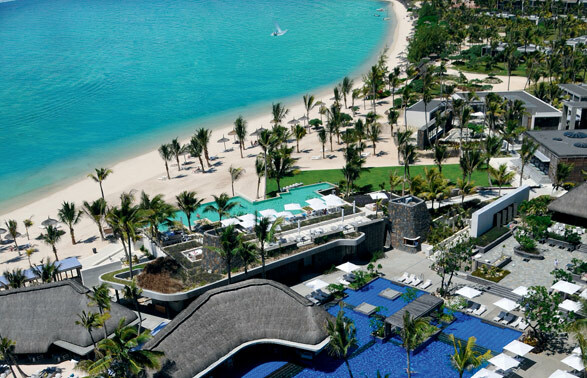 A new luxury hotel in Mauritius, the Long Beach nestles on the edge of one of the Island’s longest, widest and most beautiful natural beaches. The hotel has 255 rooms, harmoniously arranged in three semi-circles. 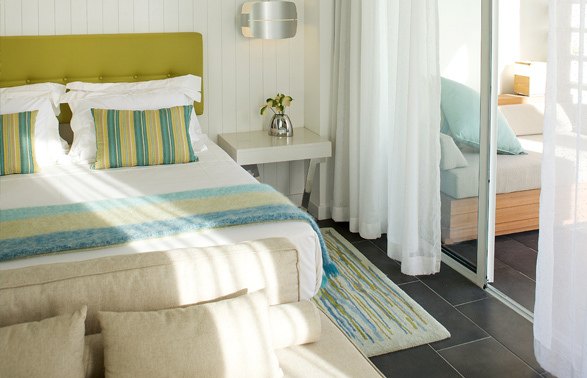 Each room has a view of the Indian Ocean and each has the advantage of having an average of 109 square metres of beach space. 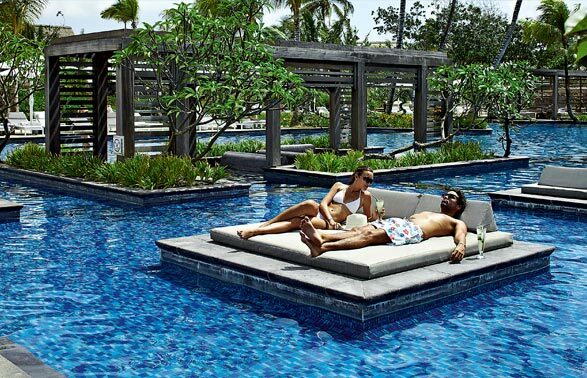 Their contemporary design and refined furnishings are in perfect harmony with the apple green, coral red, white and ash grey hues of the décor. Airfares and taxes are subject to change within specified seasons and are carrier specific, which could impact on the rate quoted. Rates are subject to currency fluctuations which are subject to change without prior notification and exclude and administration fees.